If you cannot unlock the fuel fill door, use the following procedure. 1. 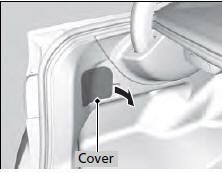 Open the trunk and pull off the left inside cover. 2. Pull the release lever towards you. 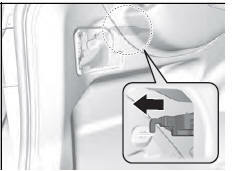 - The release lever unlocks the fuel fill door when it is pulled, and locks when returned to its original position.